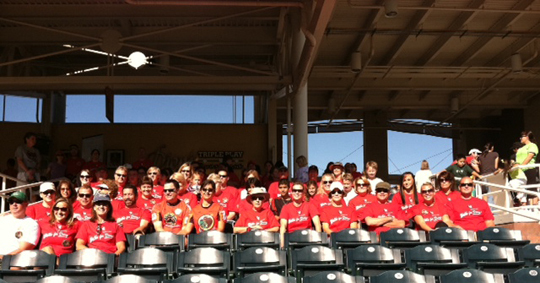 On September 25, 2011, over 60 people associated with Modrall Sperling showed up to walk the ALS Walkathon at Isotopes Park, in support of one of our own, Doug Schneebeck. The team wore red t-shirts that sported the slogan “Modrall Sperling Walks for Doug” on the front and “Let’s Kick some ALS” on the back. The Modrall Sperling corporate team took second place in terms of raising money and awareness with our walkers, and to recognize our efforts, we were awarded a beautiful silver sneaker that we now proudly display on the 8th floor of our offices.